You can receive and place calls effortlessly through our interface. Simply enter the number that you wish to dial via the keypad and press ‘call’ and users will be able to experience the superior call quality offered through our VoIP platform. 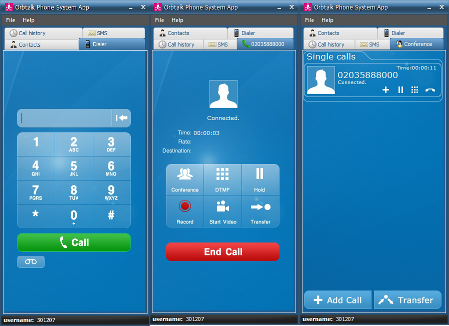 Our VoIP app is easily configurable. Users can be registered to any extension on a PBX so that they can answer calls. Users can also be registered to a SIP trunk. A soft phone is ideal for directors and sales staff who may be travelling to business seminars and conferences on a regular basis.